My first introduction to CrossFit was by Olivia Ferguson – my best friend on my softball team at Francis Marion. She started the fall of our senior year, and I would tag along to not be alone in the apartment. But I wasn’t really interested in it. As I went to PT school the following year, the consensus was that CrossFit kept us in business. Those crazy athletes just moved around erratically and injured themselves, which led them to physical therapy. 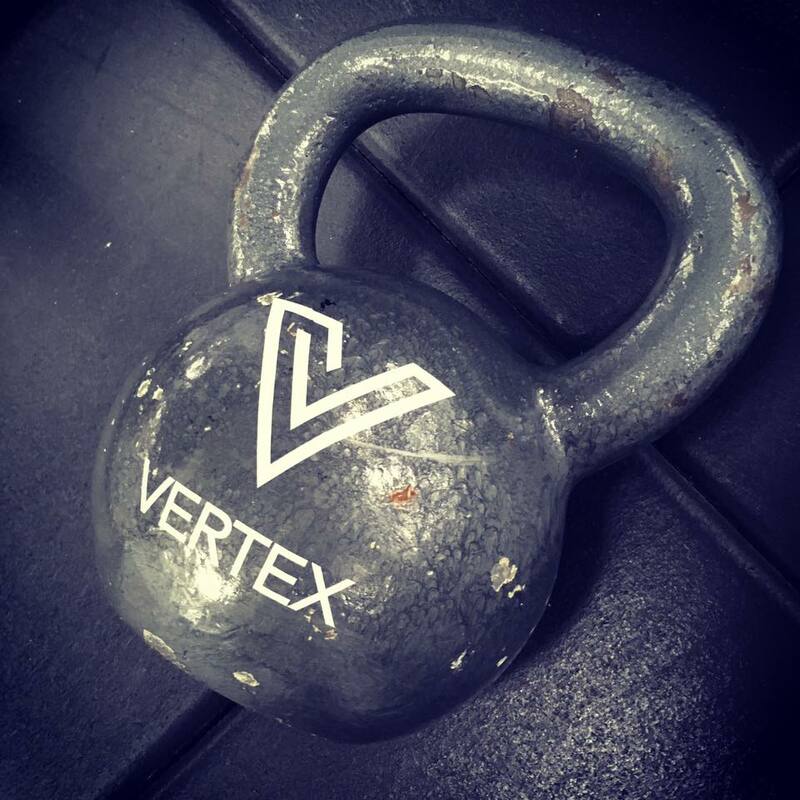 My first knowledge of Brandon Vaughn (part-owner of Vertex) was that he had a private practice within a CrossFit box – and that was a lucrative business model because they were always injured! Never did I think I would actually join a box myself or ever do CrossFit. What I realized once I was out of PT school and began practicing was that all of my pre-conceived notions were totally false. CrossFit wasn’t a place where people did exercise with reckless abandonment. I wanted to do Olympic Lifting because of Summer Strong. I knew without any introduction to Oly Lifts that I would end up injuring myself…and I knew I didn’t have friends. So, I finally decided to drink the Kool-Aid. I joined CrossFit Soda City in June of 2017. What I realized the more that I went was that I found my new “thing.” I’d played softball in college for the physicality and for my Patriot-family. I’d competed in Obstacle Course Races for the community and the challenge. And now I’d joined and began to love CrossFit for the community and the challenge. These people are way nicer than any other people you’ll ever meet in any gym environment. They genuinely care how you’re doing and what’s going on in your life. CF is not dangerous, if you’re being smart about it. You’ll always have people who take it too far – every box has “that guy.” But on average, people want to do it right and don’t want to get injured. CF gives you that competitive environment if that’s what you’re looking for. You push yourself hard because you have something to prove to yourself or you have a love of competition. If you don’t want to go hard, you don’t. CF helps you become a better mover. If you practice those motions, you build a better motor program for the motion. You get cleaner in your bar movements. You get better and faster. CF changes people’s lives. People become motivated to become healthier. It’s not JUST about losing weight. It’s about getting strong: mentally, physically, and emotionally. It helps you see who you are and how strong you are. Can you get through “Fran,” can you get through the MetCon when you’re dog tired and worked 10 hours that day? Yes. You can. You’re a beast. I love my gym-Fam. Is CrossFit for everyone? Absolutely not. That’s why we have so many options – Pilates, Barre, Yoga. It doesn’t matter what you do, as long as you move. Once we STOP moving, we’re much more likely to sustain injuries. Find your thing, Jelly Bean!